The 19th century was a time of turmoil in Europe, as the fallout from the shock of the French Revolution and the realization that real social change was possible continued to reverberate through the continent. Many people responded to this in different ways. Some found their calling in leading that wave of change, while others dug in their heels and resisted it. But there were also those who sought a spiritual revolution to go along with the social one; a new kind of belief outside of traditional religions. And Éliphas Lévi was at the forefront of that movement. 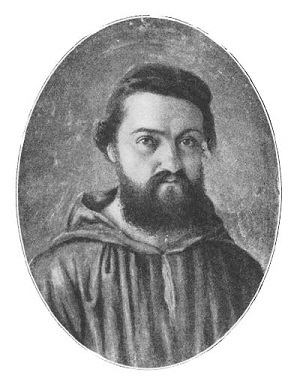 Éliphas Lévi was born in 1810 as plain old Alphonse Louis Constant, the son of a Parisian shoemaker. As a child he was too frail for vigorous pursuits but enjoyed painting, which he had some talent for. When he took his First Holy Communion at the age of 12 he found it a deeply moving experience; and as a result of this enthusiasm (and his obvious intelligence) the local priest found a place for him in a small private school he ran for those he considered to have promise. At the age of fifteen he was placed in a school at Saint-Nicolas-du-Chardonnet that prepared students to enter the seminary and study for the priesthood. 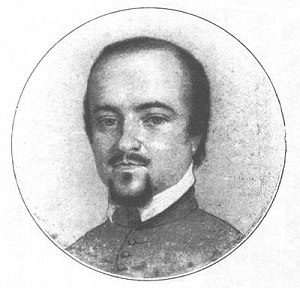 One of his teachers there was Philippe Antoine Frère, a priest who had made a study of “animal magnetism” and a major influence on the young Alphonse. Though the abbé was convinced that “animal magnetism” was a tool of the devil (and would have been horrified by Alphonse’s later career) it was his view of history that was revolutionary for the young man. It combined Gnosticism and Whig theory to say that mankind’s march was towards spiritual perfection and an eventual reunion with divine benevolence free of original sin. Unfortunately for the abbé his beliefs were declared heretical and he was relieved of his post and punished. Any students who mentioned his name were punished, as were those students who were considered to be his supporters. As much as the abbé’s actual teachings, it was his fate that was a major influence on Alphonse by undermining his trust in authority and in “canonical” teachings. Despite these misgivings Alphonse continued on his path towards the priesthood by moving to the seminary at Saint-Sulpice in 1830. He found it a stultifying place, where students were taught by rote and encouraged to inform on any insubordination. As a result he felt isolated and wound up retreating into himself, unwilling to confide in any of his fellow students. He never lost his faith, despite all of this, but more and more he lost his belief in the organised church. However that was not why he left the seminary. Instead it was his relationship with a young girl named Adele Allenbach. Part of his duties at the seminary involved teaching children who were about to take their First Holy Communion, and the 14 year old Adele was one of those students. The exact nature of her relationship with Alphonse is unclear; he insisted later that it was a platonic one while his detractors had (of course) a much less charitable interpretation. Whatever it was, it was enough for Alphonse to decide that the restrictions of priesthood were not for him. Less than two months before he was due to be ordained in 1836 he withdrew from the seminary and gave up on becoming a priest. The decision to withdraw from the priesthood had immediate consequences for Alphonse. The 26 year old was disowned by his family (who blamed his decision for causing his mother’s suicide). But it was the loss of structure in his life that affected him most deeply. Since the age of fifteen he had been living a regimented life within the church, and now he was adrift. After he tried to enter a monastery but found it just as riven with politics as the seminary and he was soon forced out. His friend Alphonse Esquiros (who he knew from school) found him some work doing illustrations, and also introduced him to the socialist underbelly of Parisian society. Here he found the society and friendship that the church had denied him. The two Alphonses shared a belief in the essential socialist underpinnings of Christianity. This was the subject of Alphonse Constant’s first book, La Bible de la liberté. It was published in February of 1841, where it remained on sale for one hour. Then it was confiscated by the police, and Alphonse was arrested for “impiety and advocacy of insurrection”. At the time the political climate in France is best described as “fraught”. This was the period of the “July Monarchy”, a liberal constitutional monarchy. 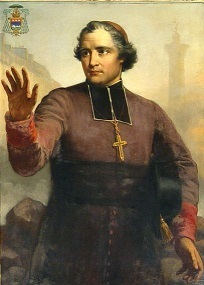 The party in power in 1841 were the “Doctrinaires”, a centre-right group who rigidly enforced the censorship laws against writers like Alphonse Constant. He had been warned before its release that this would happen, but it had not dissuaded him. His ecclesiastical background made his trial into news worthy of reporting, and gave him a new celebrity among the radicals of Paris. It also gave him eleven months in prison. During his time in Sainte-Pélagie he occupied himself reading the works of Emanuel Swedenborg and gaining an insight into a new brand of Christian mysticism. He reunited with an old friend (Alphonse Esquiros, who had been imprisoned the year before) and also made a new friend in the form of Flora Tristran. She was a social activist and early feminist who took an interest in his case (they may have been previously acquainted). When she found out how poor he was (a huge disadvantage in France’s corrupt prison system) she paid the necessary bribes for him to get adequate food and a habitable cell. Alphonse was released in April of 1842. He was faced with a dilemma as to how to support himself, since he was unable to get his writing published and was too notorious to become a teacher. His childhood love of painting saved him though, and he maintained himself through artistic commissions. One of these took him to the outskirts of Paris and to the small town of Choisy-Le-Roi where he painted some murals for the local cathedral. The archbishop of Paris, Denis Auguste Affre, soon found out that the infamous “ex-priest” Alphonse Louis Constant was working on church property though and came to check up on him. Archbishop Affre was a man who believed in making his own mind up about people, so he went to see Alphonse. He liked him, and he was grateful that Alphonse had absented himself from Paris and from causing political turmoil within the church. Perhaps he was sympathetic to Alphonse’s brand of “Christian socialism”, as well. He couldn’t have such a notorious person working on church property, of course – at least not if anyone knew about it. So he persuaded Alphonse to take up his mother’s surname (de Baucourt) and found work for him in the town of Evreux in northern France. He had a quiet year working there until one Paris paper published an obituary thinking that he had died. Another found out that he was still alive and published a story to “one-up” their opposition. Soon the local papers in Evreux found out about it, and one of them whipped it up into a sales-boosting scandal (including extracts from La Bible de la liberte). Alphonse was forced to resign his post and move back to Paris. But a glance from Mary imposed silence on the ancient serpent. As if in spite of himself he dragged himself over to the regenerated Eve and laid his head at her feet; and when that delicate foot touched his head he closed his eyes and seemed to expire. He hadn’t been idle creatively during his time in Evreux, and when he arrived in Paris the book he had written during his exile had already been published. It was called La mère de Dieu (”The Mother of God”); and in it he added to his Christian socialism a new strain of “naive mystical feminism”, for lack of a better phrase. Part of the book was a call for equal rights for women (perhaps influenced by Flora Tristran). But part of it was also a depiction of women as being spiritually purer than and necessary for men. Only by accepting women (or rather by accepting Woman) can men ever attain true enlightenment, he wrote. His allegories for this were Old Testament in style: the church as a queen cast out from her kingdom; anarchy upon the earth as a flood; and only the re-acceptance of Eve back into the Garden of Eden as a panacea for it all. In other words, despite still thinking of himself as a Christian the former clerical student was now far down the road into paganism. The poor are beaten down; their burden is too great. The rich do not know this, and they must know it….That is why I have given voice to a hungry people. It is not my book that should be condemned, but the scourge of hunger itself. He managed to convince some of the jury, but not enough. He was found guilty and sentenced to a year in prison. However while he was imprisoned Noémi discovered that she was pregnant, and after she made an appeal he was released in August with only six months of his sentence served. Their daughter Marie was born later in the year. Alphonse did not recant his radical ways though, and became the leader of a Montagnard club as Paris gradually spiraled towards revolution. In the back half of 1847 the various radical groups began holding “banquets”; a combination of political meeting and fundraiser. Naturally the authoritarian right-wing government clamped down on these, and equally naturally the radicals and their supporters pushed back. Finally in 1848 the tension reached breaking point, and the barricades went up all over Paris. The French Revolution of February 1848 was possibly one of the swiftest in recorded history. A combination of government complacency and wide-spread support among the army meant that what started as a riot soon turned into a demand by the people for the return of the Republic. The king, afraid for his life, abdicated and fled Paris. It was a giddy time for radicals like Alphonse where it seemed like anything was possible. In the space of a few days, they went from monarch to republic. 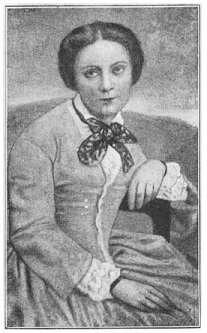 Noémi was also active in the revolution; she was on the governing board of the feminist revolutionary organisation Le Club de la Voix des Femmes. (This was also the year that her first published work appeared in print.) Unfortunately though, the suddenness of events also undermined the success of the the revolution’s radical agenda. Alphonse was one of the hopeful radicals who stood for election to the new assembly, but without a central organising force they hopelessly split the vote, and even radical Paris returned mainly conservative candidates. This began a descent into repressive reactionism that culminated with the brutal suppression of working class protestors in the “June Days uprising”. Despite the lack of a king, once again it was the conservatives who held the reins of power in France. It’s a cliché to say that Alphonse Louis Constant died in 1848, though not one without merit. It’s definitely true that his youthful optimism suffered a fatal blow. There was a brief spark in December, when Louis-Napoleon Bonaparte managed a surprise win in the presidential election on the basis of a populist platform and a famous name. Like many, Alphonse bought into the idea that Bonaparte could bring change, which he did – but not the change they’d have wanted. Instead Bonaparte used the power of the presidency to make himself a tyrant, and eventually in 1851 he dissolved the republic and declared himself Emperor. And by that time Alphonse Constant had, as he predicted, ceased to exist. In his place was a new creature, a man called Éliphas Lévi. “Éliphas Lévi” was a transliteration of “Alphonse Louis” into Hebrew, a language that suited Éliphas’s new area of study: the Kaballah. How he turned to this is a matter of some debate. Some claim that it was a friendship with a Polish exile named Józef Wro?ski which introduced him to the occult. Others point to his work on a Dictionary of Christian Literature as bringing him into contact with more obscure sources. Either way, it was the culmination of a long journey through mysticism that had finally led Éliphas to his destiny. 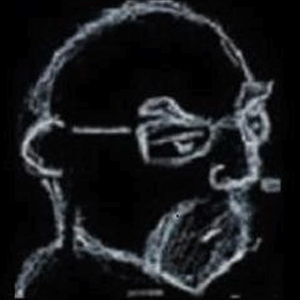 He began to research and write about ritual magic, which he saw as the “missing link” between science and religion. Eventually in 1854 he published the first volume of his first book on magic: Dogme et Rituel de la Haute Magie. Occult philosophy seems to have been the nurse or god-mother of all intellectual forces, the key of all divine obscurities and the absolute queen of society in those ages – when it was reserved exclusively for the education of priests and of kings. 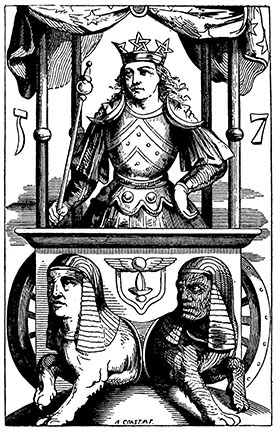 Dogme et Rituel de la Haute Magie (The Doctrine and Ritual of High Magic) was in large part a modern presentation of the work of Hermes Trismegistus, the originator of most of what we class as “western magic”. Hermes was originally claimed to be an ancient sorcerer whose writings came from the depths of antiquity, and who had enjoyed great popularity in the Renaissance until the historian Isaac Causobon proved that they had actually been written in the 3rd century AD in Greece. (Though admittedly that didn’t prove that they weren’t a rewritten version of something more ancient.) The basic principle of Hermeticism is: “As Above, So Below”. By understanding one’s own nature one can better understand the nature of the universe, and vice versa. Of course it also incorporated astrology, alchemy and theurgy (the use of “divine energy” towards magical ends). In fact by virtue of its antiquity (and even the 3rd century is pretty ancient) it could be more accurate to say that astrology and alchemy were based on it. Éliphas combined this with a study of the Kaballah, a Jewish form of mysticism. He did not invent this synthesis; the study of “Hermetic Kaballah” dated back to the Renaissance. 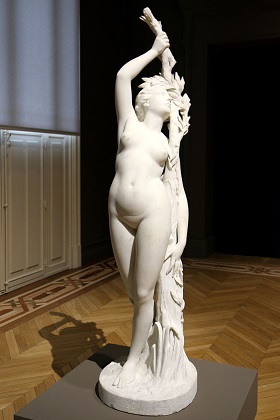 “Daphnée changée en laurier”, one of Noémi’s statues. 1854 was also the year that Marie Constant, the daughter of Alphonse and Noémi, died. The death of their daughter severed the last tie in a marriage that had effectively been over for years. Noémi’s childish infatuation with her husband had long faded, while he had little interest in a woman who had by now grown well beyond her need for him. In fact Noémi was well on her way to carving her own niche in history, quite literally. She was a pupil of the sculptor James Pradier and went on to become well known in her own right, most famously working on the Fontaine Saint-Michel in Paris. She also became a successful writer under the pen-name of “Claude Vignon”. She published about a dozen books as well a spending twenty years acting as the Paris correspondent for a Belgian newspaper. After she left Éliphas he eventually had the marriage annulled (on the grounds that his earlier vows had not been properly amended) and she remarried to Maurice Rouvier, a French politician. She died in 1888 the year after her new husband became Prime Minister of France. I saw a man before me, wholly covered by a kind of shroud, which seemed more gray than white. His face, which was thin, forlorn and without any trace of a beard, did not exactly accord with the way I had first imagined Apollonius. Shall I conclude from this that I really evoked, saw and touched the great Apollonius of Tyana? I am not so hallucinated as to believe it, nor so frivolous as to affirm it. The effect of the preparations, the perfumes, the mirrors, the symbols, is a veritable intoxication of the imagination that is all the more forceful when acting on a person who is somewhat impressionable and high strung to begin with…One’s health – mental and physical – would not bear up under the regular repetition of such operations. True to his word, Éliphas would never again attempt such a feat of practical magic. Soon enough he left London behind and returned to Paris where he could support himself with his painting and poetry rather than “parlour tricks”. Of course, the study of magic remained his passion. In 1856 he published the second volume of Dogme et Rituel de la Haute Magie. It was successful enough to make him well-known, but not enough to make him rich. As mentioned before, his “Hermetic Kaballah” was not that revolutionary. Where he was innovative was in adding a third element to the mix – the Tarot. The mystical deck of cards (based originally on the ancestors of modern playing cards) had been formalised into the classic Major and Minor Arcana by Jean-Baptiste Alliette (better known as Etteilla) towards the end of the 18th century. 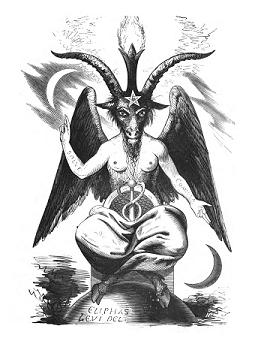 They had become popular in occult circles, but Éliphas was the first to formally integrate them into the “magical” system. It was this which made his work essential reading for others studying and writing in that area. Dogme et Rituel de la Haute Magie was Éliphas’s masterwork, and he never really surpassed it in his later writing. He never really needed to, to be honest; and some biographers say that he felt able to relax having captured his essential thoughts in this book. His next book in 1859, Histoire de la magie (“The History of Magic”), didn’t really add much more to the corpus other than to let him “show his work” for his system of magic. Similarly La clef des grands mystères (”The Key to the Great Mysteries”) was just an expansion on some of the contents of his earlier work, at least in substance. It did become popular with later magicians like Aleister Crowley due to the less dry tone and more personal nature of the work, where Éliphas blended personal anecdotes with magical theory. In fact it is from these anecdotes that we get some of the details of his life that we otherwise would not know. 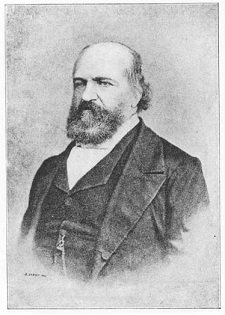 Outside of his writing, the two most significant things going on in Éliphas’s life in the 1860s were his relationship with the Freemasons, and his relationship with the mother of his son. In March of 1861 he was initiated into a Masonic lodge. He reached the rank of Master Mason but eventually left the lodge because he was convinced he understood more of the lore and truth of the Masonic mysteries than his “superiors did”. While this was going on he visited London again, this time as an acknowledged authority in the magical world. While he was there he re-established contact with Eugénie Chenevier (who had moved to London) and with their son Xavier. She returned to Paris and the pair had joint custody of Xavier for a while, until there was an argument over some financial support Éliphas had promised and never delivered. In 1867 they were estranged once again, and he never saw either of them until his death. Éliphas Levi’s health went into decline over the last decade of his life, leading him to remain in Paris mostly and not travel further afield. 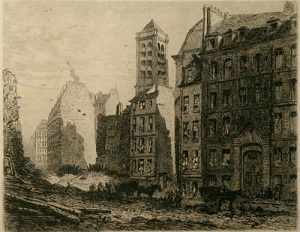 The siege of Paris in 1870 took a great toll on him physically, and he did move to Germany for a time in order to recuperate with one of his pupils there. In fact he kept up correspondence with many interested students in other countries, including a thirteen-year exchange of letters with the Baron de Spedalieri in Italy. He was generally happy, in this time. He had found his calling, and was treated with respect by people who all liked him. He continued writing up until the end, and when he died in May of 1875 a half-finished translation of the Biblical “Vision of Ezekiel” from the original text was found on his desk. 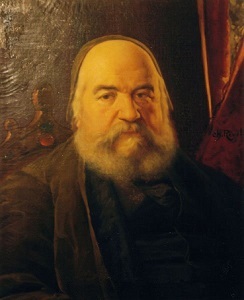 Éliphas Levi in the last year of his life, painted by Charles Revel. In fact, death did not stop the output of books by Éliphas Levi – five more books based on his notes were released over the next fifty years. It was not a new book that gave Éliphas his lasting legacy however, but rather a translation of his masterpiece. In 1886 Arthur Edward Waite published The Mysteries of Magic: A Digest of the Writings of Éliphas Lev”. It was a translation with commentary of Dogme et Rituel de la Haute Magie and was hugely influential on the burgeoning London occult societies. At the time the “Hermetic Order of the Golden Dawn” was being founded in London, and this new translation made enough of an impact on them that Waite was asked to join the Order in 1896. In turn through this Éliphas Levi’s writings inspired a new generation of magical thinkers including Helena Blavatsky and Aleister Crowley and shaped the entire direction of the early 20th century “magical revival”. But it was through Waite that he had an influence that is still felt in the artistic world today. In 1910 the Rider Company published what became known as either the Waite-Smith or the Rider-Waite (or the Rider-Waite-Smith) Tarot deck. The symbolic designs of these cards (designed by Waite based on the writings of Éliphas Levi and beautifully illustrated by the artist Pamela Colman Smith) has become the design for Tarot decks ever since, and to this day the images from those cards are interpreted and re-interpreted by artists across the world. So the next time you see the Hanged Man strung up by his ankles, or the Fool teetering on the edge of a cliff with his dog by his side, know that you are seeing the last legacy of the sorcerer Éliphas Levi. Noémi is often referred to as Alphonse’s “second wife”, however none of his biographers seem to give any details of his first wife. If you know anything about her please do let us know.